As from February 15, VLM Airlines will operate three routes from Bodensee Airport Friedrichshafen. 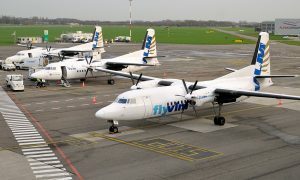 With three Fokker-50’s based at the airport VLM Airlines shows it’s belief in these new routes. Belgian regional airline VLM Airlines starts operating three routes to Berlin Tegel, Dusseldorf and Hamburg from Bodensee Airport Friedrichshafen. Hamburg is already successfully operated by VLM Airlines to Rotterdam and its home base Antwerp. With two rotations per weekday on each route, one rotation on Sunday evenings to Berlin and Hamburg and three Fokker-50 aircraft permanently based at Bodensee Airport, VLM Airlines is committed to make these routes a success. “As these routes have proven to be strong, we have all the confidence that the passengers will find their way to flyVLM”, says Claus Fischer, Vice President Commercial Development. 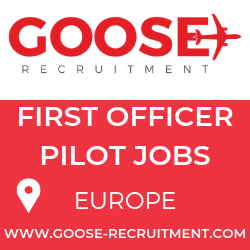 “We are aware that we are not an airline from the Friedrichshafen region, but we have a successful track record in both scheduled services as well as charter and ACMI operations. Our all-inclusive service and friendly staff is something we are known for. We started in 1993 and we are still here despite the enormous competitive sector we are in”, continues Fischer. Also Bodensee Airport Friedrichshafen is delighted with the continuation of the successful routes. “For the region, it is great news that we’ve found a new partner in such a short time to fly these routes. VLM has a lot of experience and flying with well-maintained and reliable aircraft”, says Claus-Dieter Wehr, CEO of Bodensee Airport Friedrichshafen. The continuation of these three routes are particular good news for the many major companies in the surrounding area as well as for the passengers who do business in Dusseldorf, Berlin and Hamburg. The flight times are tailored for business and with the Sunday rotation to Berlin and Hamburg, for city breaks as well.